To make Raw Naturals, we gently process our fresh ingredients here in the heart of the Midwest. We’re pet parents, too, so safety is our top priority. 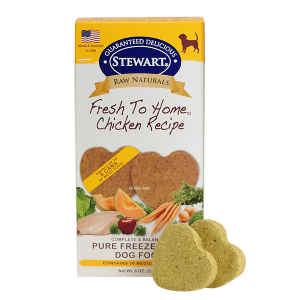 You can feel confident in feeding Raw Naturals to your best friend. Our all-natural, grain-free beef dog food contains no artificial flavors, colors or preservatives. Single-source protein formula is just right for dogs with allergies or food sensitivities. 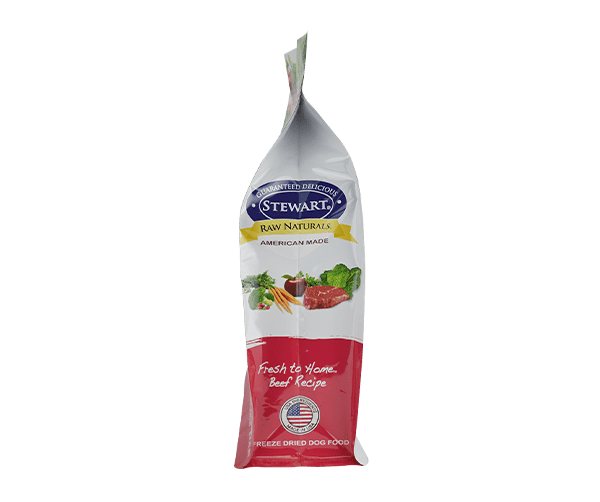 With beef as the #1 ingredient, Stewart Raw Naturals Fresh to Home grain-free beef freeze dried dog food offers superior nutrition. 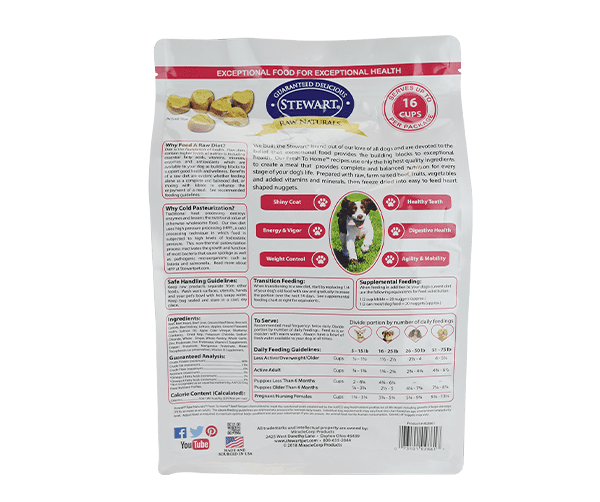 We add fresh, wholesome fruits and vegetables, along with vitamins and supplements to give dogs a complete and balanced diet. High-quality food brings energy, a beautiful coat, bright eyes and good oral hygiene to your dog. Unleash nutrition and joy! 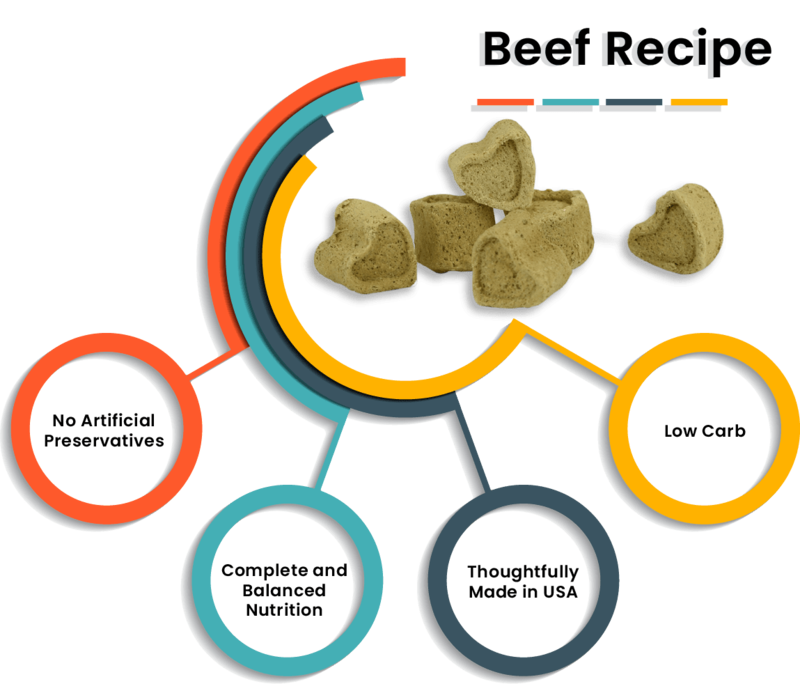 Raw Naturals Fresh to Home freeze dried dog food beef recipe is available in patties too. 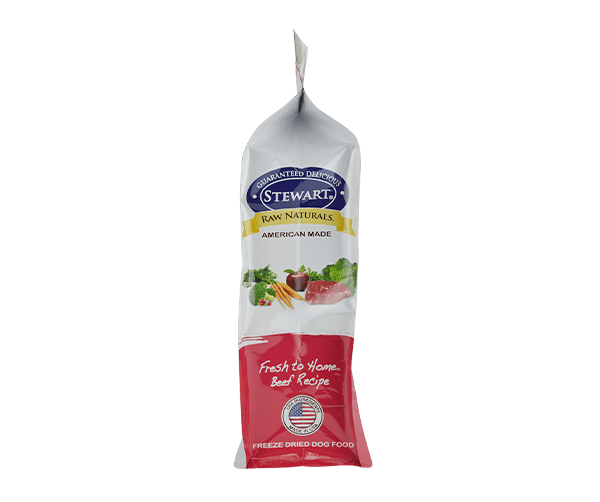 Our Raw Naturals freeze dried recipes are available in five other irresistible varieties and sizes.